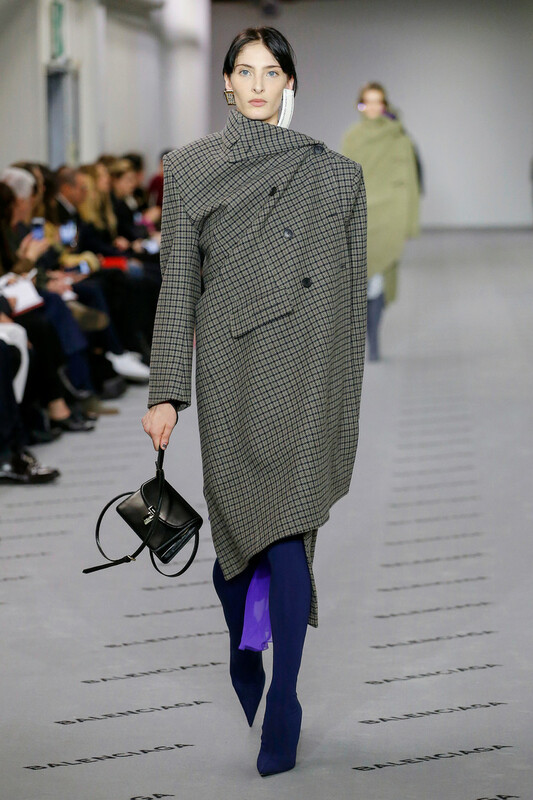 Demna Gvasalia, Balenciaga’s talented designer, is genuinely experimental and unafraid to realize and run with audacious ideas. 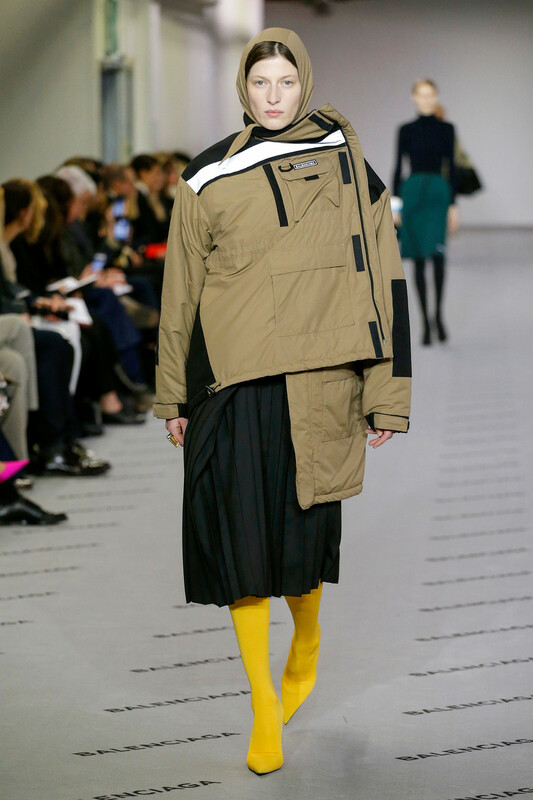 In a short time, that approach has garnered him a great deal of attention and a reputation as perhaps the coolest designer on the planet right now. 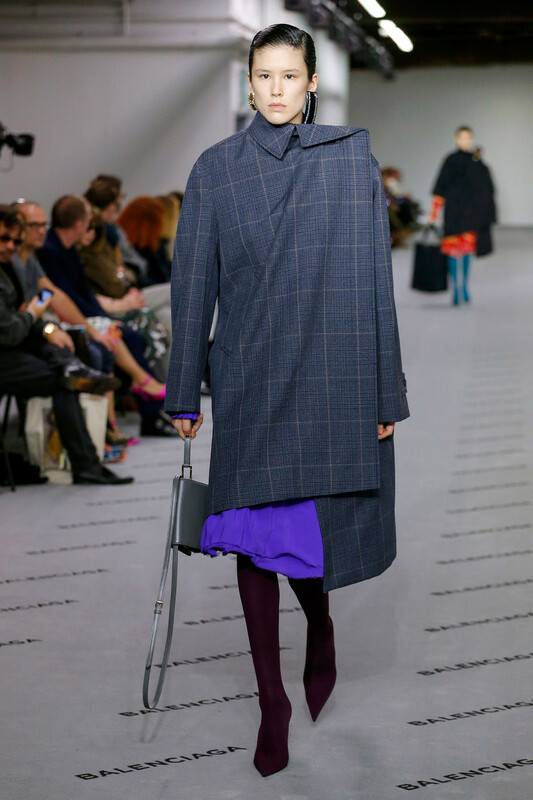 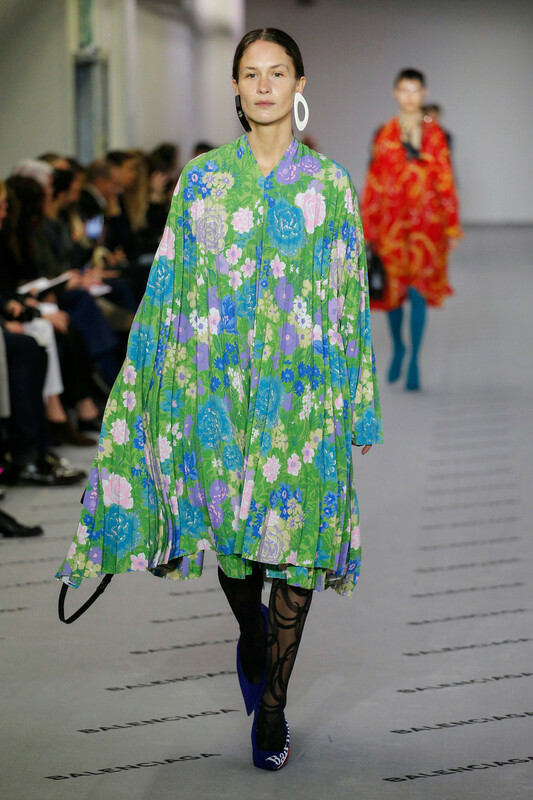 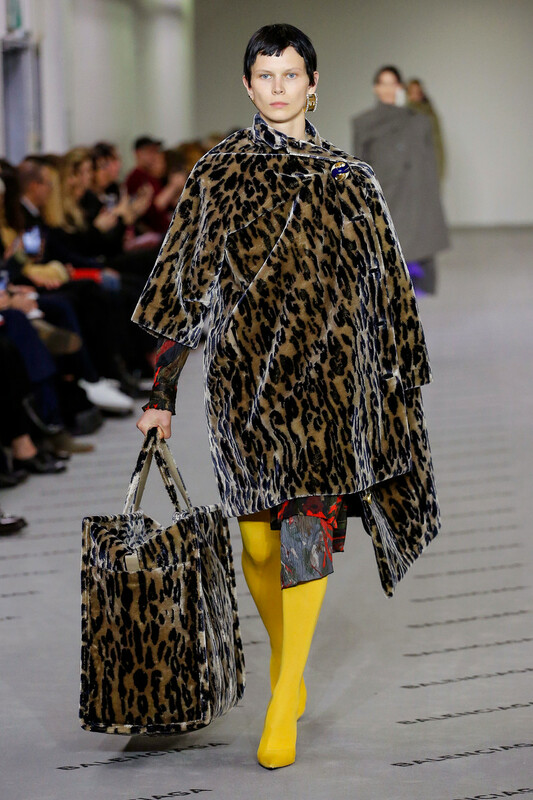 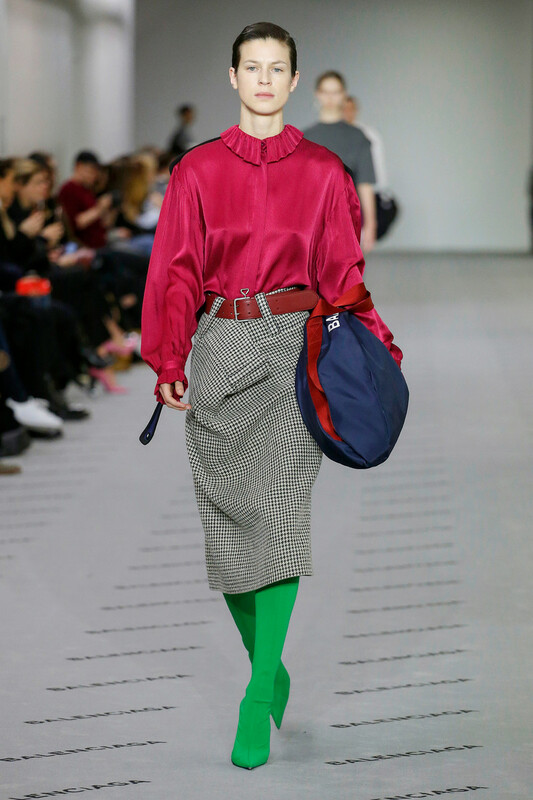 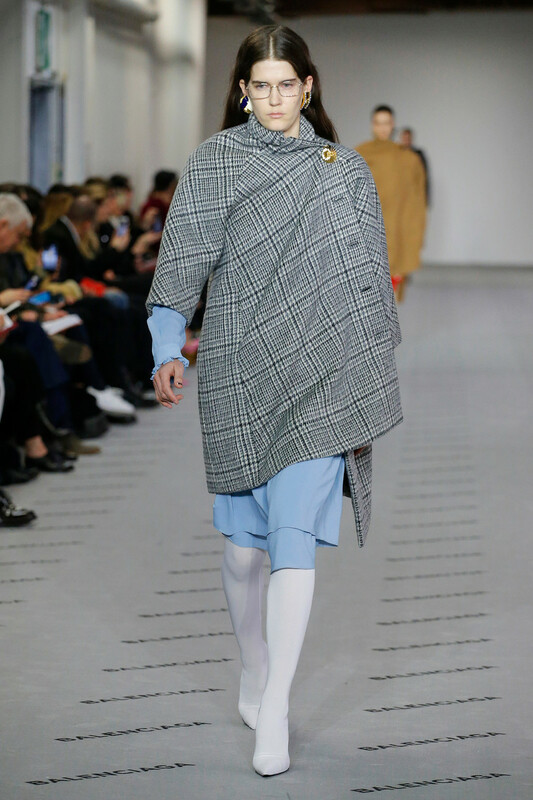 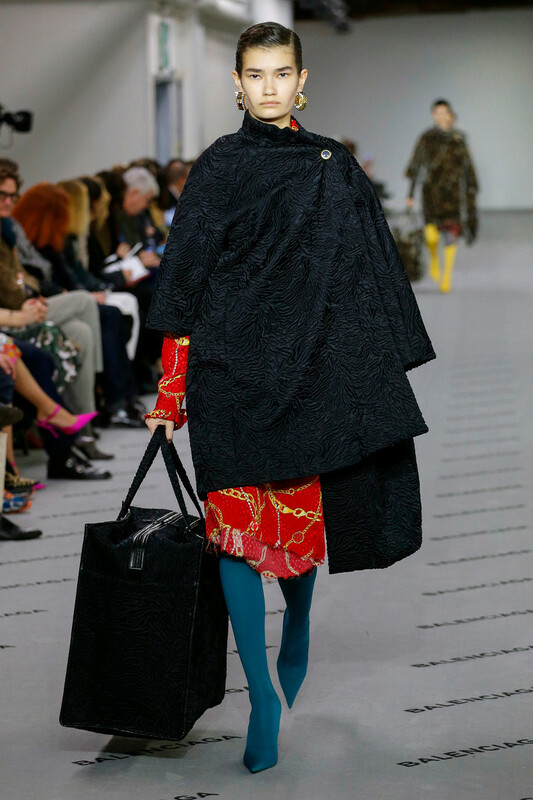 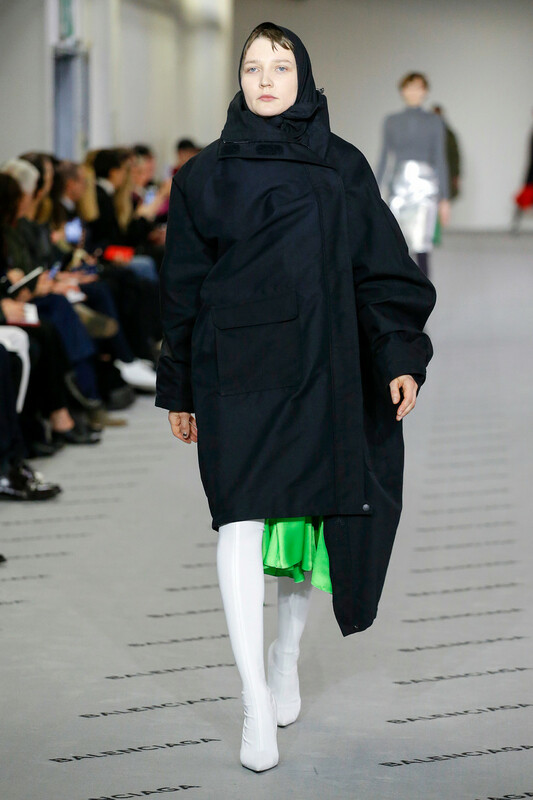 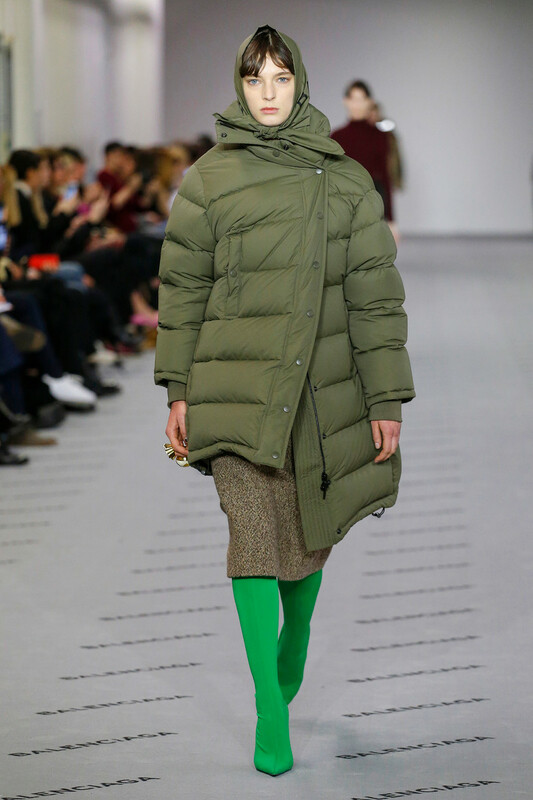 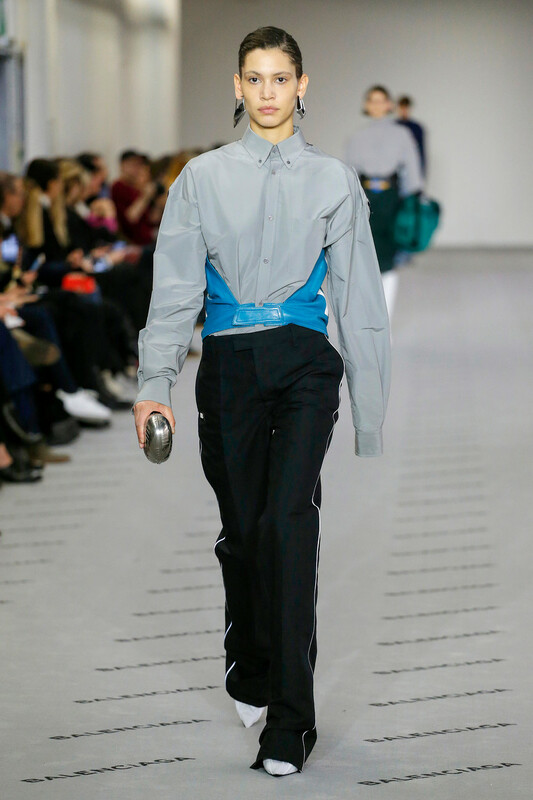 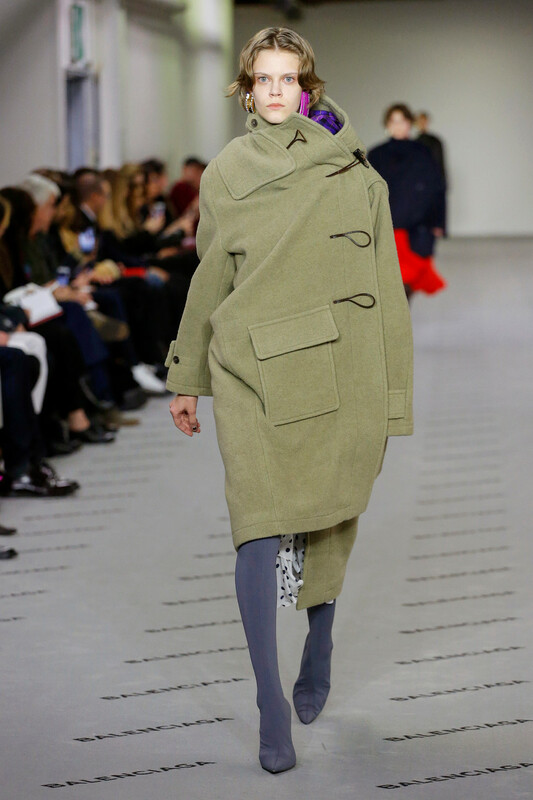 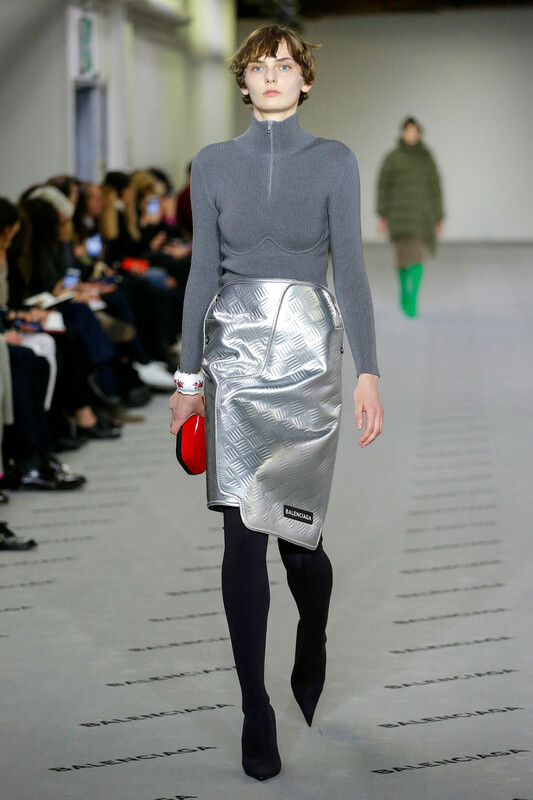 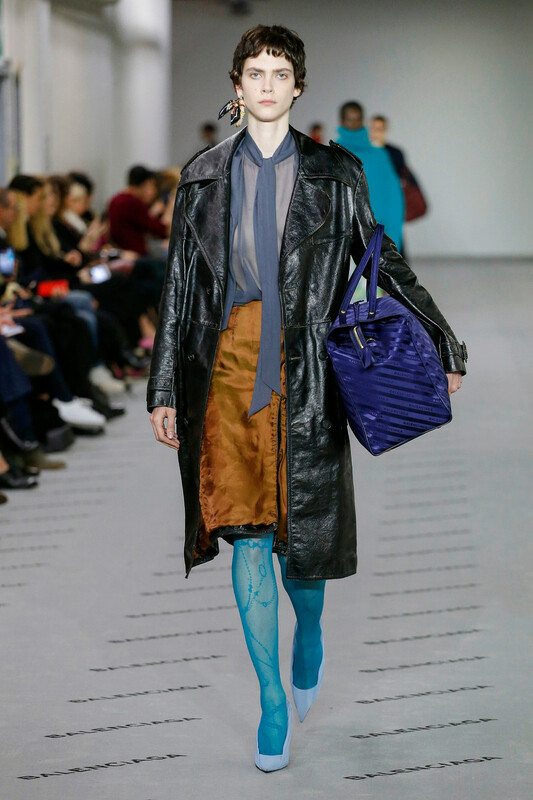 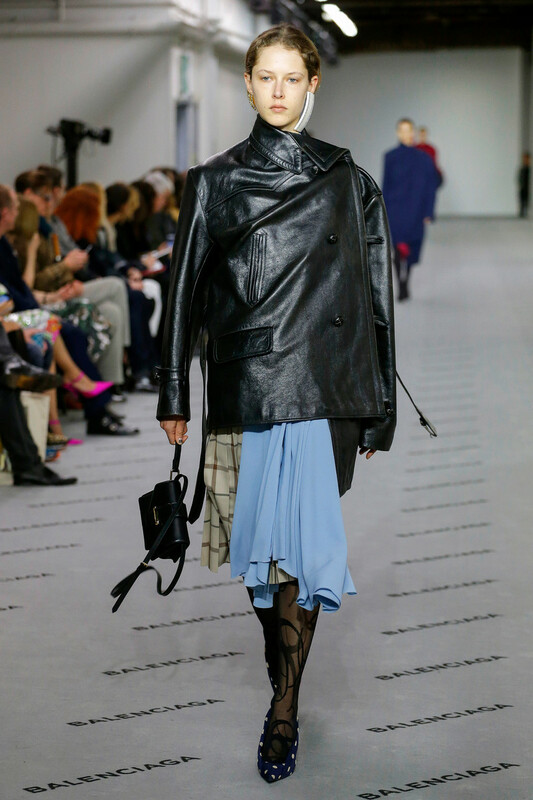 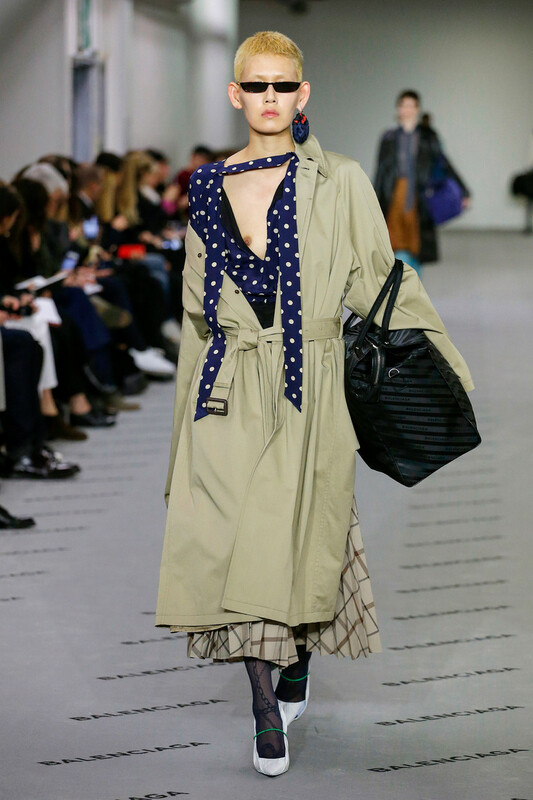 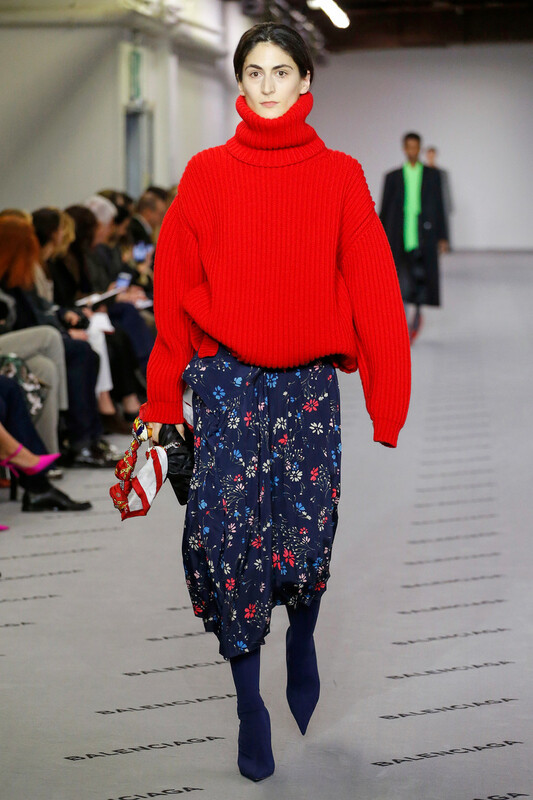 Again, Gvasalia displayed that sense of bravado, his collection packed with twists, turns and grand gestures made with a deliberate street attitude. 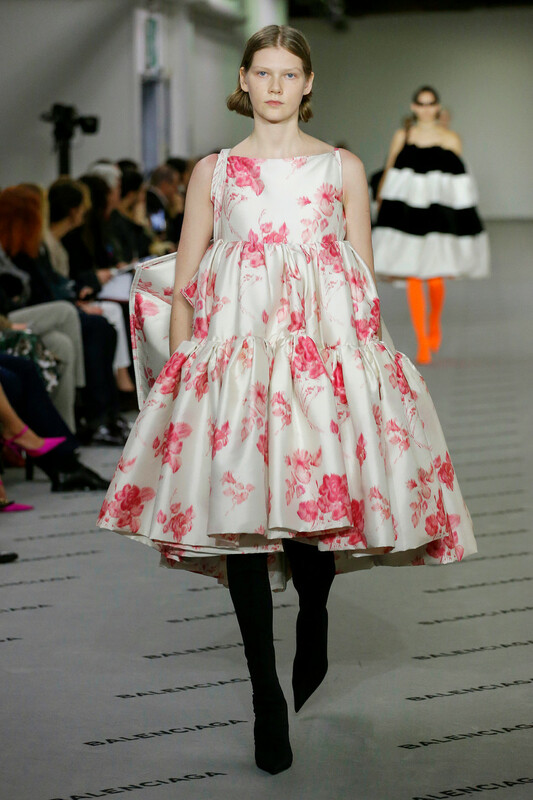 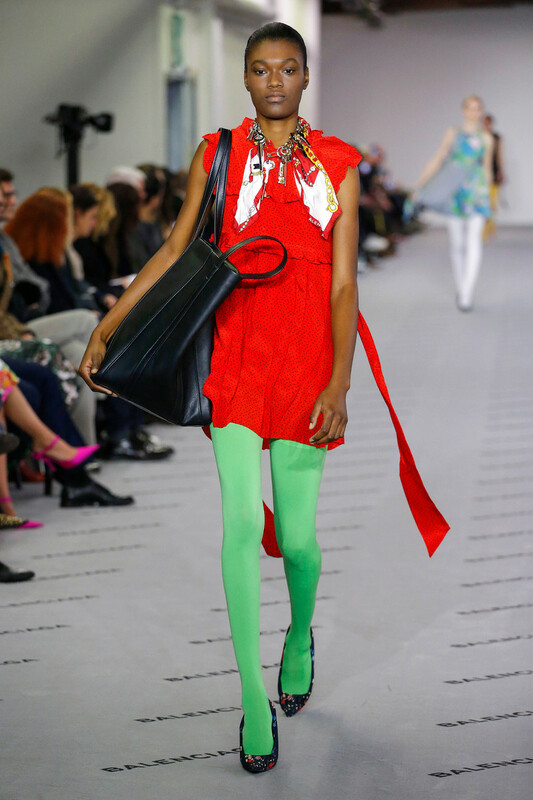 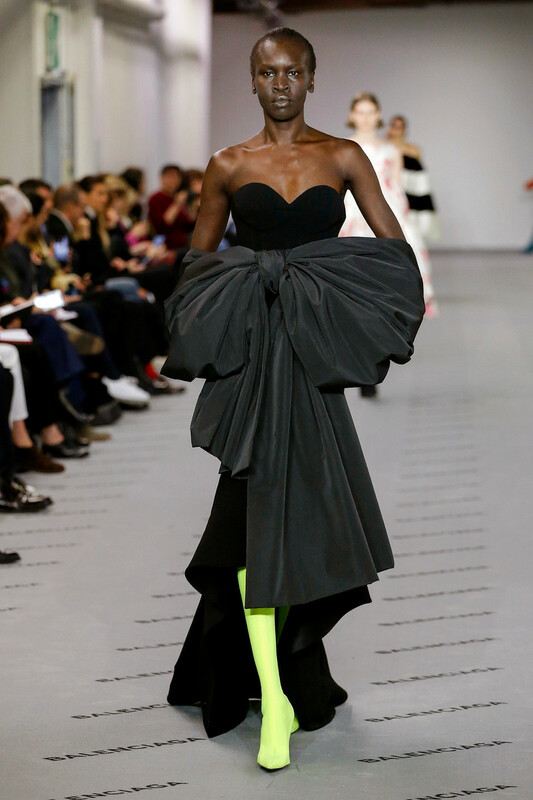 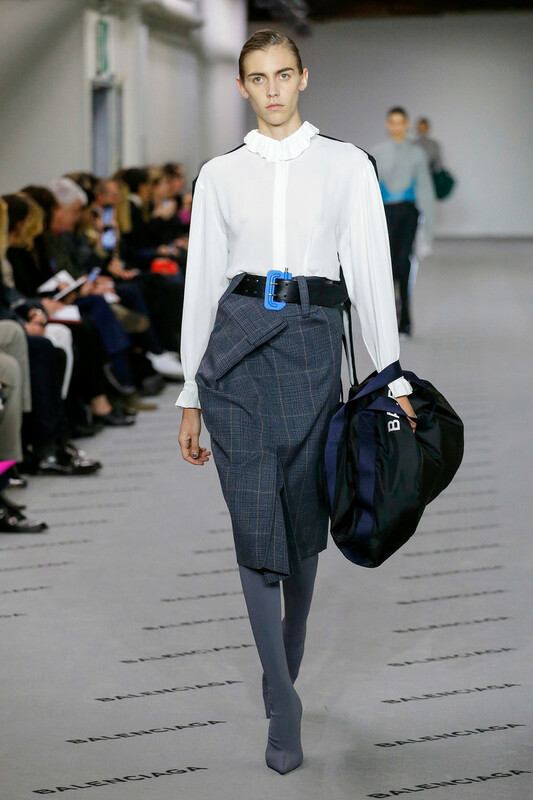 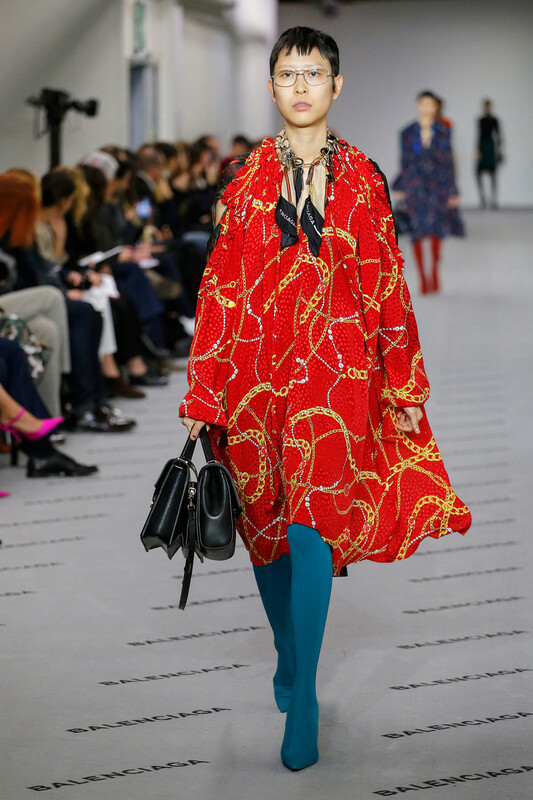 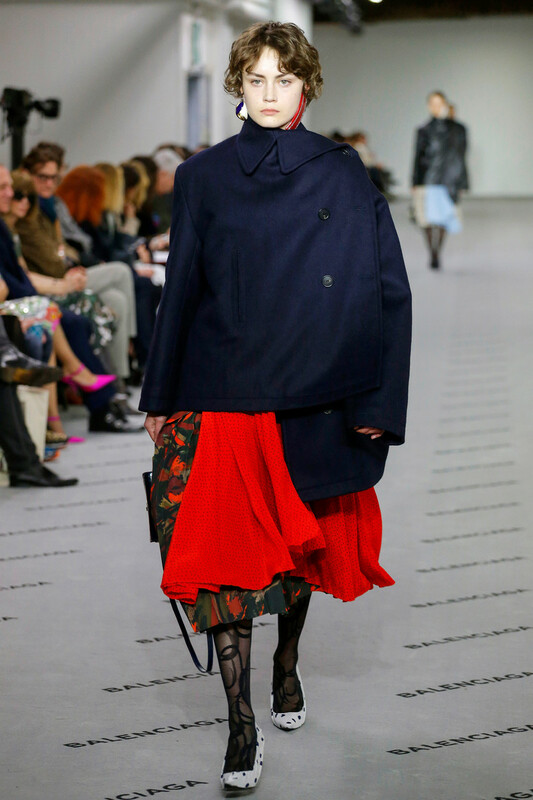 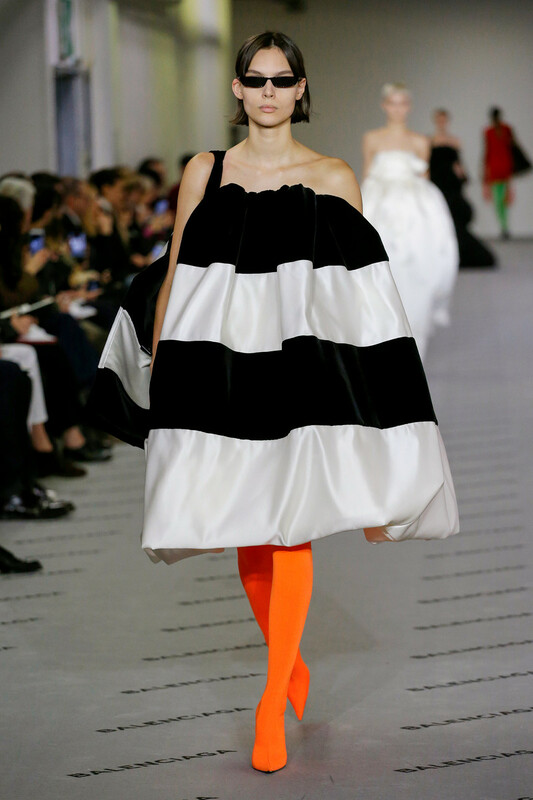 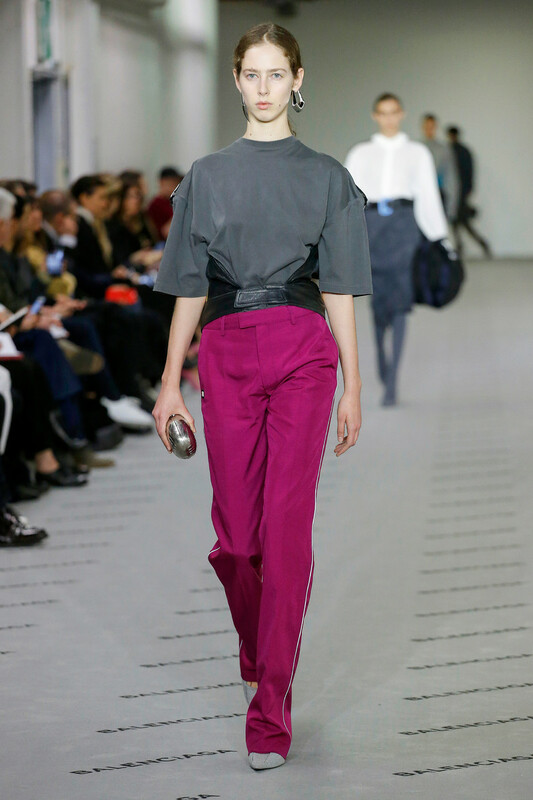 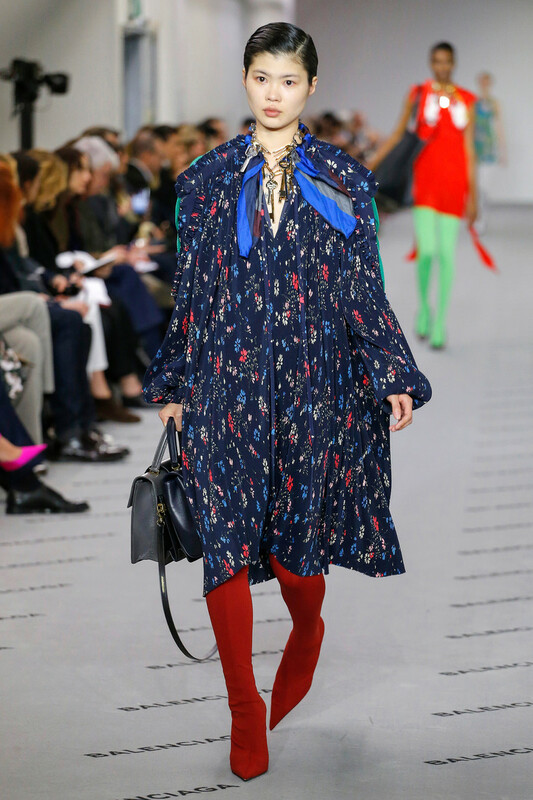 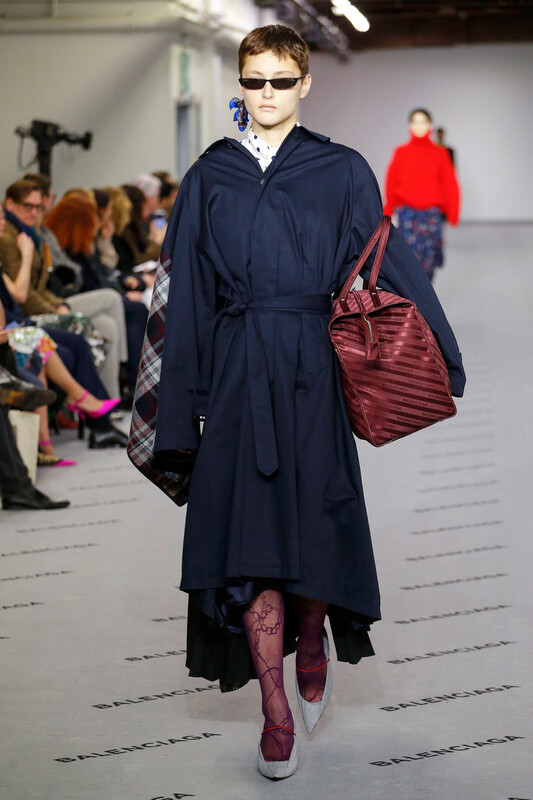 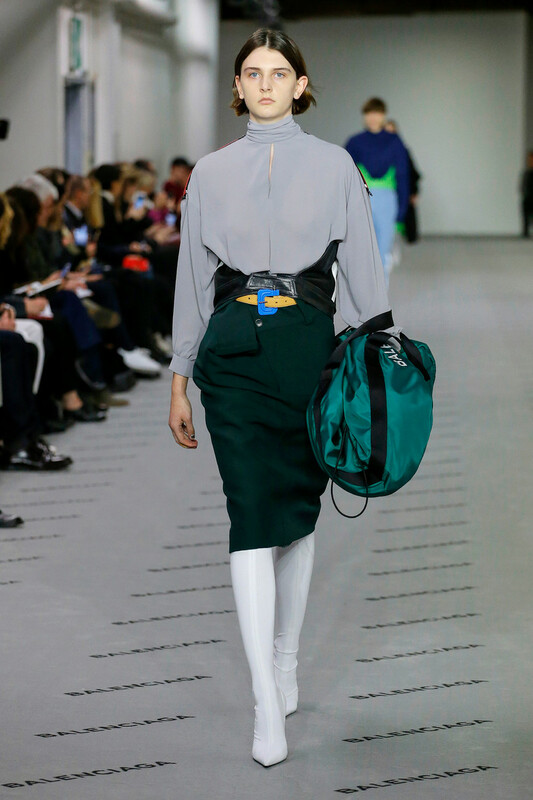 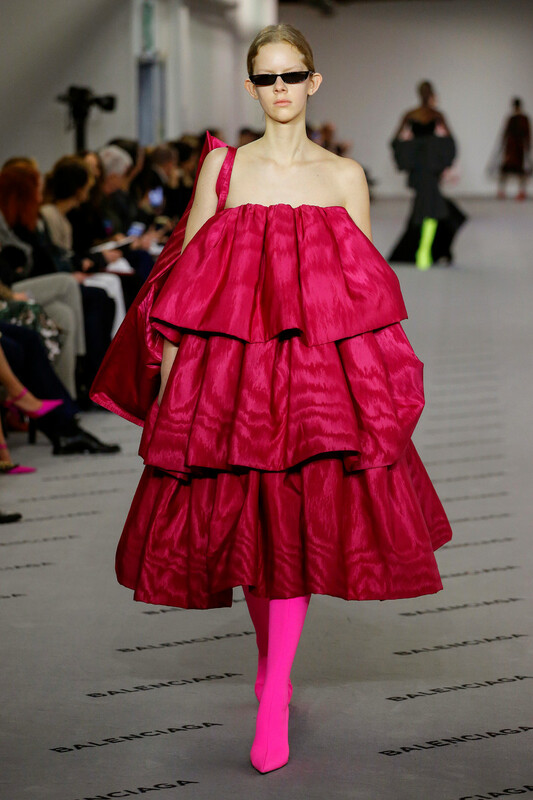 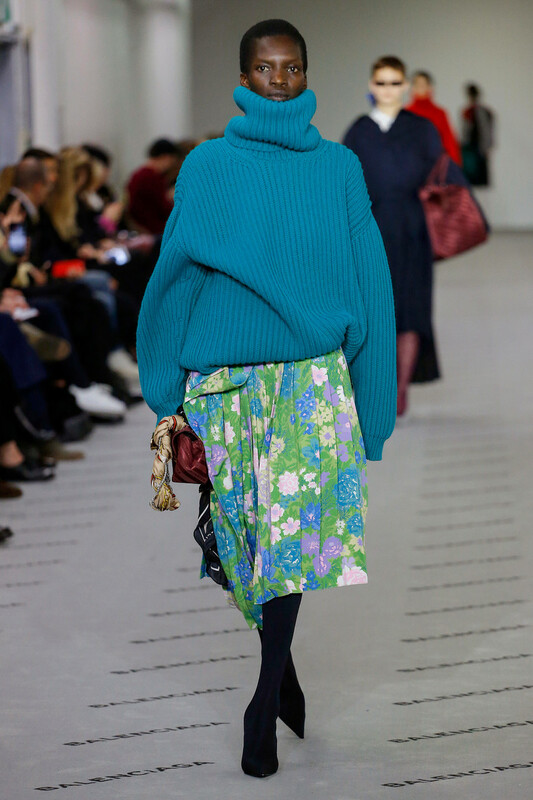 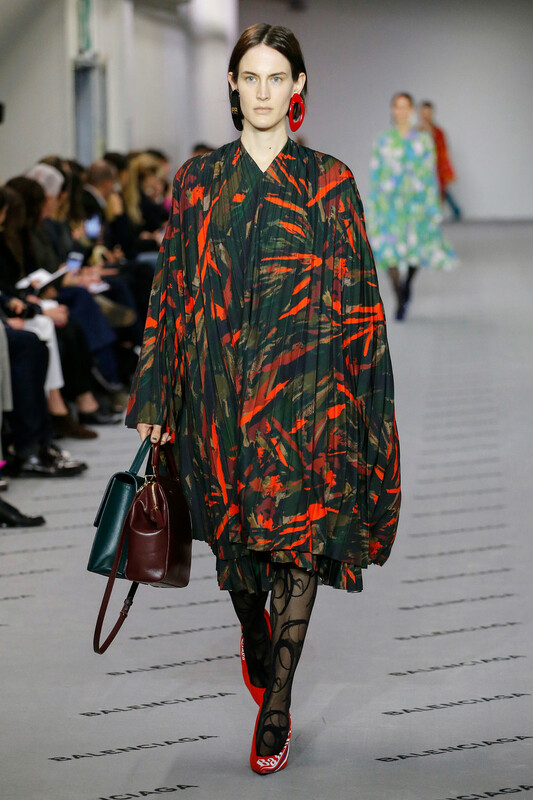 The collection was inspired by the house photo archives, where he found pictures with the poses of [Cristóbal] Balenciaga’s house models as they clutch fabric and strike couture attitudes. 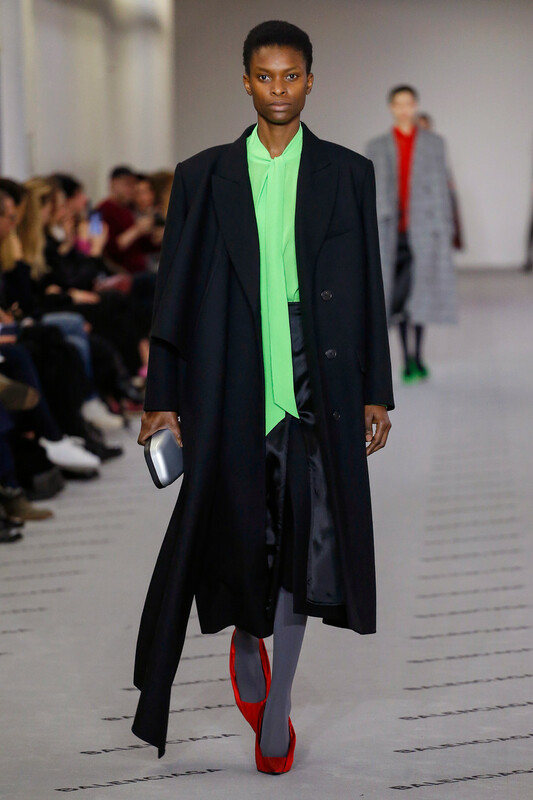 Gvasalia delivered a raw take on haute motifs, opening the show with a bold coat-and-dress series. 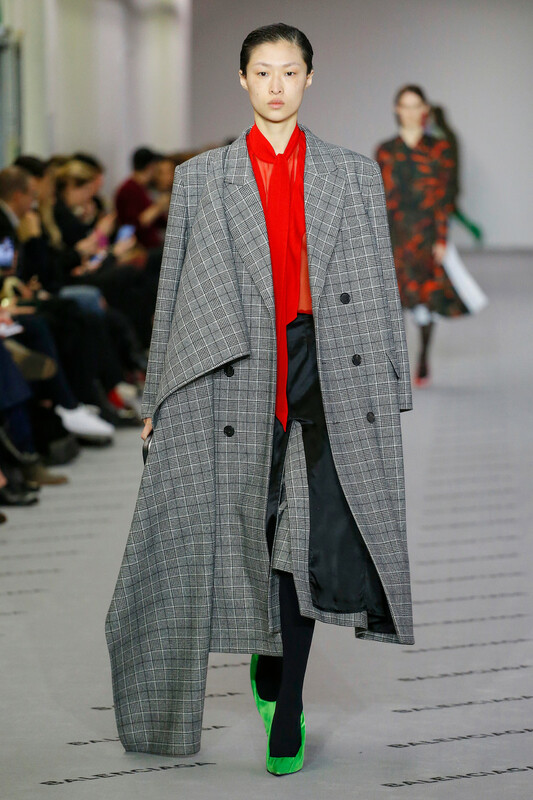 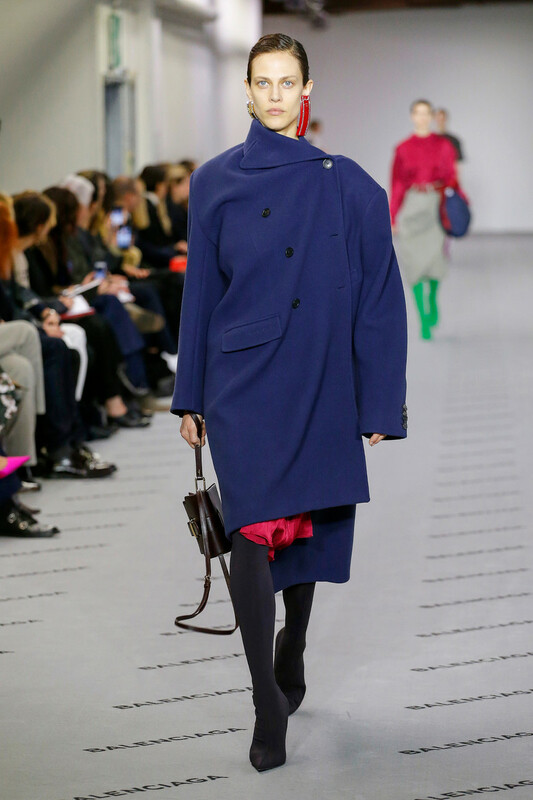 One side of each coat was pulled way over and fastened on the opposite shoulder – and this was not a styling tric but the actual cut – apparently to give the look of a swath of fabric thrown over a model’s shoulder. 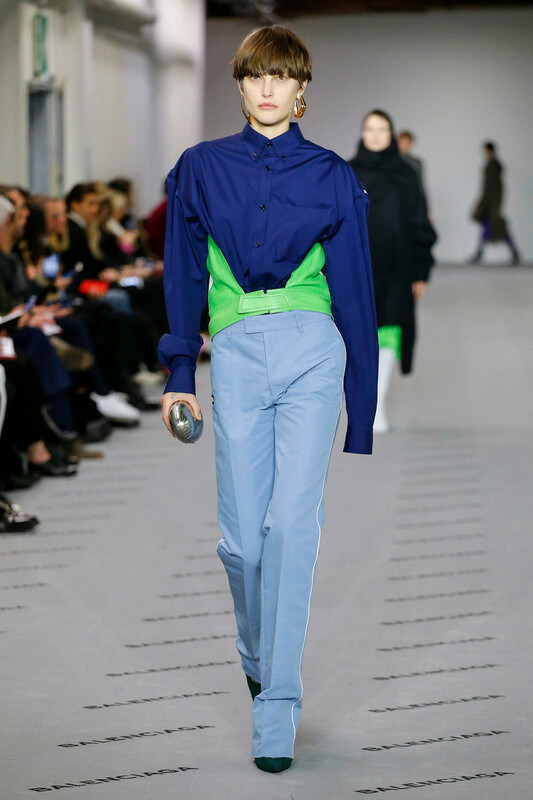 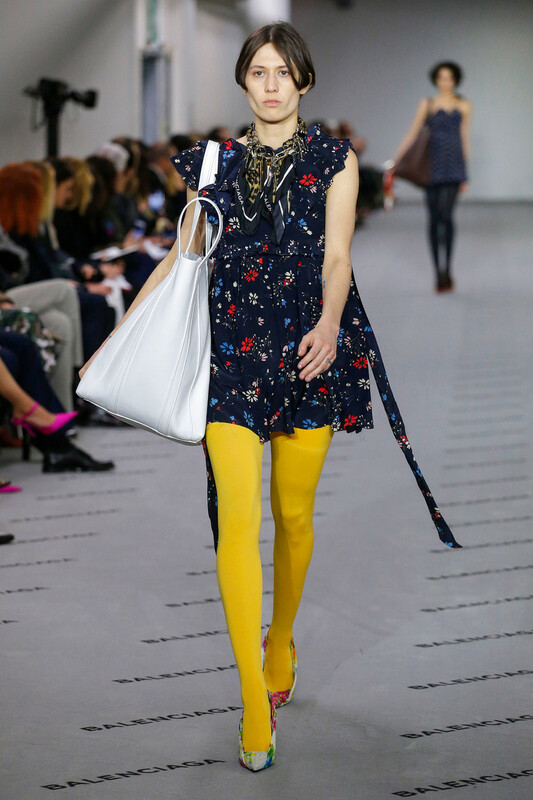 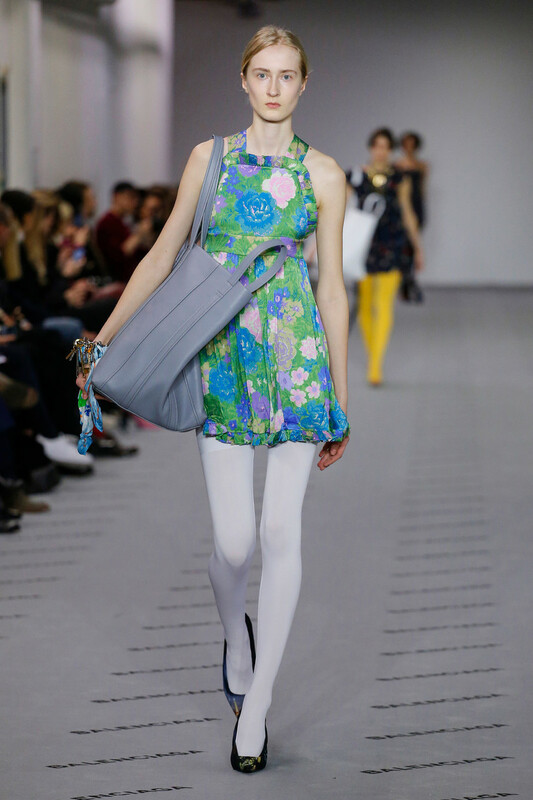 These shapes looked bold and fresh, with a wearability range from runway only to real-word chic.